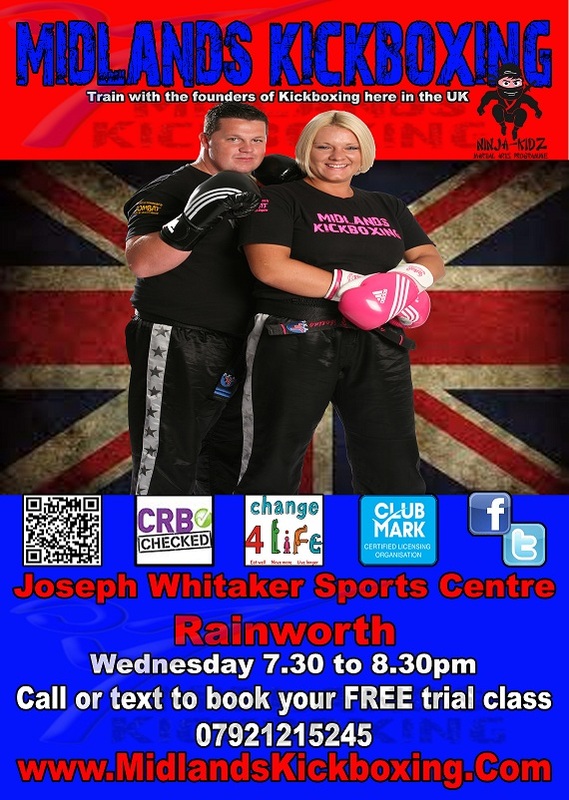 We are very please to bring a brand new Midlands Kickboxing class to Rainworth. We are offering free membership at this venue meaning we will supply you with your training bottoms and t shirt, grading book and one years insurance which normally costs £65.00. Please call Jenny on 07921215245 to book a free trial session. The class takes place in the Dance Studio which is a good sized, well ventilated air conditioned room, The centre boasts excellent facilities including a large reception area with the facility for hot drinks, a well lit car park offers ample parking if you intend driving, the centre is very close to Ravenshead, Blidworth, Mansfield and Farnsfield and has an excellent surrounding road infrastructure.